Although a bargain, many Americans didn't like the deal. 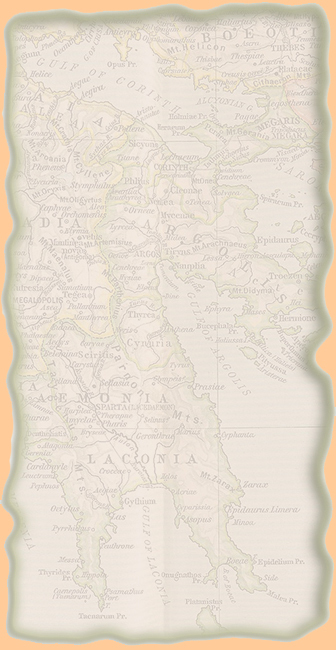 On October 18, 1867, Alaska officially changed hands with the exchange of the ratified treaty at Sitka. Interestingly, the payment was not made until a year later. Enormous. 586,412 square miles or 1,518,800 square km, that's more than twice the size of Texas with 268,596 square miles or 695,662 square kilometers. The rational there might have been that Alaska was too hard to defend against the British in any future war. Might as well make a buck selling it. But the deal didn't go through. Russia wasn't ready to sell, the U.S. not ready to buy. ... lacked the financial resources to support major settlements or a military presence along the Pacific coast of North America and permanent Russian settlers in Alaska never numbered more than four hundred. And it was still 30 years before the Klondike / Yukon gold rush would bring new appreciation to the area. All in all, the Russians saw Alaska more as a burden than anything else. And the Americans kind of agreed. Who Negotiated the Alaska Purchase? For the U.S., under President Andrew Johnson, the U.S. Secretary of State, William H. Seward. 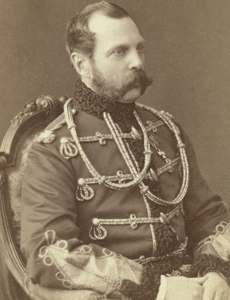 For Russia, under Tsar Alexander II, the Russian Privy Councillor, Edward (or Edouard, or Eduard) de Stoeckl. You would think a bargain such as this would prompt everyone in the U.S. to thank Mr Seward abundantly, but no. Americans more or less agreed with the Russians, this was a wasteland, and therefore a total waste of money. Some doubters termed this purchase "Seward's Folly." And it was freezing. 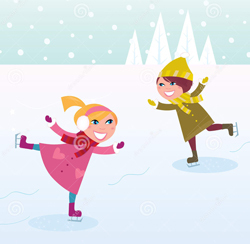 So it became "Seward's Icebox" and "Johnson's Polar Bear Garden." Yes it was true, with this deal, Russia would completely withdraw from North America, but even so, U.S. congressmen still had to be bribed by the Russian emissary to vote in favor of the purchase of Alaska. It took the discovery of gold in the Yukon in 1896 (see map below), and the strategic positioning during World War 2, to convince. 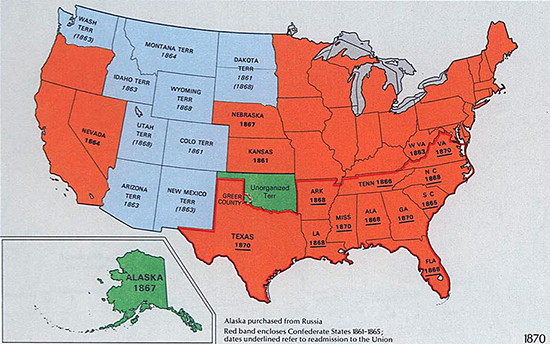 The inhabitants of the ceded territory, according to their choice, reserving their natural allegiance, may return to Russia within three years; but if they should prefer to remain in the ceded territory, they, with the exception of uncivilized native tribes, shall be admitted to the enjoyment of all the rights, advantages, and immunities of citizens of the United States, and shall be maintained and protected in the free enjoyment of their liberty, property, and religion. The uncivilized tribes will be subject to such laws and regulations as the United States may, from time to time, adopt in regard to aboriginal tribes of that country. That's right. The owners of most of the land in question weren't consulted with regards to its sale. Moreover, they had to stomach this Article 3. And here is the Working Effectively with Alaska Native Tribes and Organizations Desk Guide (PDF). This desk guide was created for BLM employees and adapted for USFWS employees. 1859 Russia signals their willingness to sell Alaska, but the U.S. have more urgent business to attend to, i.e. 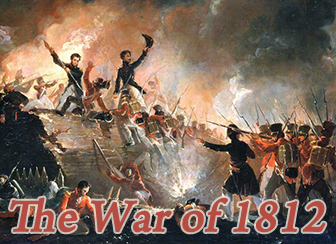 the Civil War (1861-1865). Still, it would be nice to grab the land before the Brits could get the opportunity. March 11, 1867 Stoeckl meets with Seward at Washington and signals that he is authorized to negotiate the sale of Alaska. Seward has to talk to the President first. March 14, 1867 Stoeckl and Seward meet again. Seward says he is interested, and that he talked with President Johnson, who was "not inclined" toward the purchase but willing to listen to Seward's advice. He needs to talk to the cabinet members. Stoeckl says he too will talk to his friends in Congress. Seward floats the idea of $5 million, or "perhaps $5.5 million, but no more." Thus raising his own bid. This prompts Stoeckl to mention in a telegram to Russia that he could get at least $6 million, maybe even $6.5 million. 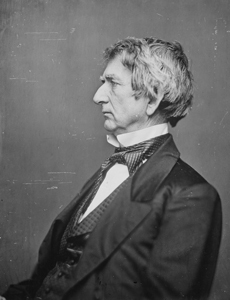 March 15, 1867 Seward has a draft treaty prepared for the cabinet. He is asking to authorize $7 million to buy Alaska. The cabinet couldn't care less, but didn't disagree. President Johnson doesn't even comment. Seward tells Stoeckl he is authorized to pay $6.5 million tops. Stoeckl says $7 million, and it's a deal. 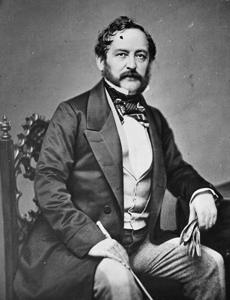 March 25, 1867 Seward asks Stoeckl to cable Russia pronto. He wants the treaty signed before the Senate adjourns. March 29, 1867 Stoeckl gets the ok from Russia. That evening he visits Seward at his private address on Lafayette Square and tells him "Tomorrow, if you like, I will come to the department, and we can enter upon the treaty." Seward replies, "Why wait until tomorrow, Mr. Stoeckl? Let us make the treaty tonight." April 9, 1867 The U.S. Senate approves the purchase, voting 37 to 2. 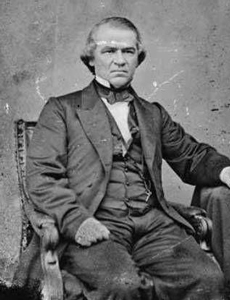 May 28, 1867 U.S. President Andrew Johnson signs the treaty, ratifying this purchase. October 18, 1867 With a ceremonial exchange of ratifications at Sitka, Alaska officially belongs to the United States. Most Russians will leave soon after. However, the money still hasn't been paid. July 14, 1868 The House votes 113 to 43 to appropriate the money for the Alaska purchase. 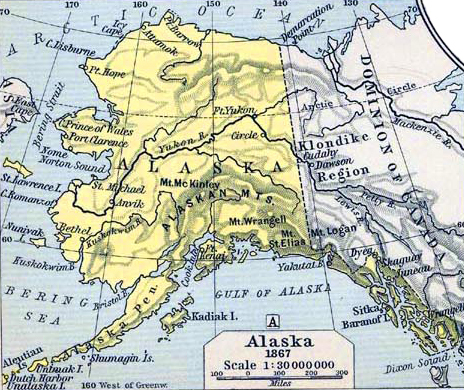 July 27, 1868 Act of Congress "making an appropriation of money to carry into effect the treaty with Russia of March 30, 1867"
1946 Alaskans vote in favor of statehood with 9,630 to 6,822. Congress will hesitate for a few more years. 1955 / 1956 The Constitutional Convention convened November 8, 1955, and adjourned February 6, 1956. All this to speed up the slow movings toward statehood. On February 5, 1956, the constitution was formally adopted. Still not a state yet, but constitution in place. 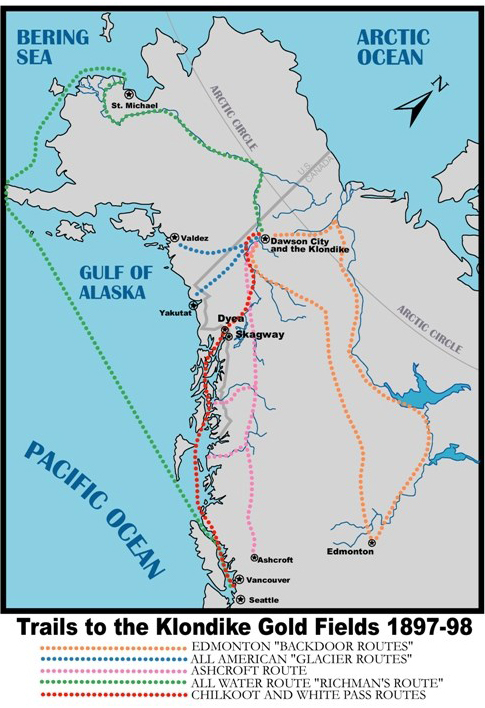 All Water Route "Richman's Route"
It used to be connected via the Bering Land Bridge on which humans came to the Americas in the first place. How was the bridge formed? Thanks to the ice age, water got locked up in glaciers, sea levels dropped enormously, and land masses were exposed. People packed their bags and were on their way. 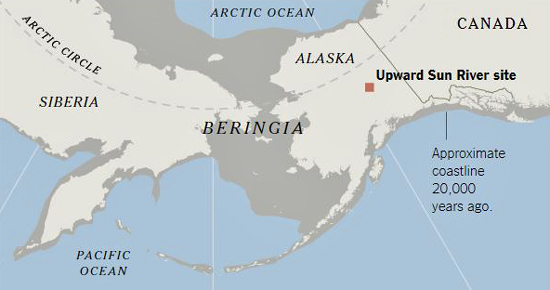 Below we have a map of ancient Beringia 20,000 years ago, aka the exiting land bridge across the Bering Sea, named after Vitus Bering, the Danish explorer who battled scurvy like all good explorers, and who worked under Russia's Tsar Peter the Great and later Russia's Tsarina Anna Ivanova. Illustrating the Upward Sun River site, discovered in 2006, the site of the discovery of the oldest known human remains ever recovered from the Arctic/Subarctic of North America, the 11,500 year old skeleton of an infant girl. Here is the NYT article. Fifty-five miles, but it freezes over when it's Winter! 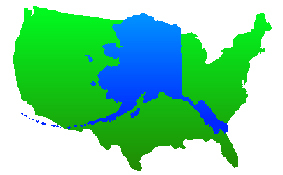 The narrowest distance between mainland Russia and mainland Alaska is approximately 55 miles. However, in the body of water between Alaska and Russia, known as the Bering Strait, there lies two small islands known as Big Diomede and Little Diomede. Interestingly enough, Big Diomede is owned by Russia while Little Diomede is owned by the US. The stretch of water between these two islands is only about 2.5 miles wide and actually freezes over during the winter so you could technically walk from the US to Russia on this seasonal sea ice. By the way, apparently she never said, I can see Russia from my house.